western | No Chic. Just Geek. In the early 1960s the American actor Richard Harrison was living in Italy and had carved out a bit of a niche for himself starring in movies there, including the very first of what are now known as spaghetti westerns. The makers of a new movie in that genre approached Harrison with a view to his appearing in it, but not having enjoyed his previous experience, the actor declined. So the director asked him to recommend another actor who could conceivably carry a new kind of western. Harrison, a veteran performer with over 120 films to his credit, nowadays wryly comments that his response may have constituted his single greatest contribution to cinema, both as an industry and an art form. The director was Sergio Leone, the film was A Fistful of Dollars (Italian title Per un pugno di dollari, while – somewhat curiously – the on-screen title card omits the indefinite article), and the eventual star was Clint Eastwood, at that point best-known as the star of TV western Rawhide. 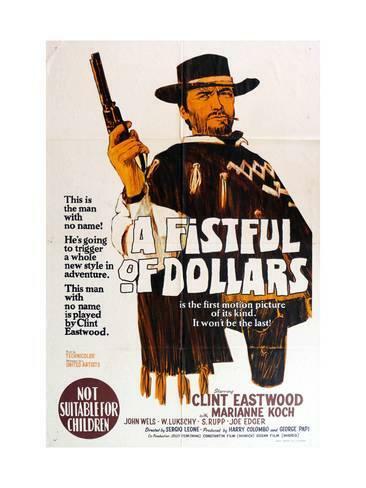 These days A Fistful of Dollars is famous as the film which brought both Leone and the spaghetti western subgenre to international attention, while Eastwood has gone on to have the most distinguished of careers as a film-maker – even to the point where his fame and success as a director surpasses that of his acting work. It all started here, in an unauthorised and uncredited remake of the Japanese jidaigeki movie Yojimbo (Akira Kurosawa and Toho duly sued, to which Leone’s response was that Yojimbo itself was a derivative work, ultimately drawn from an Italian commedia dell’arte play. But he still settled out of court in the end, with Kurosawa claiming he earned more from Fistful than he did from his own film). The plot of A Fistful of Dollars will certainly seem very familiar to anyone who has seen the Kurosawa film. 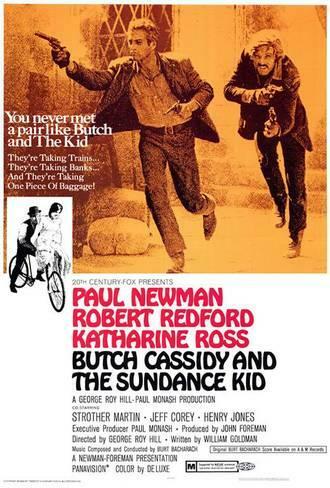 A taciturn stranger (famously known as the Man with No Name, but a minor character in this film repeatedly calls him ‘Joe’) arrives in a desolate town in Mexico to find it moribund, paralysed by a struggle between rival gangs of smugglers and bandits – the Rojos and the Baxters. The local cantina is almost deserted, and the only person doing good business is the man who makes the coffins. I have to say that Sergio Leone was really trying it on when he tried to assert that A Fistful of Dollars is not a fairly obvious remake of Yojimbo. There are a few tweaks to the storyline early on – a visit from a government inspector is replaced by a double-cross involving some stolen gold – but in many places this is very nearly a shot-for-shot recreation of the Japanese film, dramatically at least. Looking slightly beneath the surface, things are somewhat different. A Fistful of Dollars is a much ‘straighter’ movie than its precursor, which – in its early stages at least – functions as a kind of black comedy. Fistful is by no means po-faced, but it is a particularly cynical kind of humour, articulated many in terms of one-liners from Eastwood’s character. But then the film as whole feels like it is operating on a more limited, superficial level. It has many of the same strengths as the Kurosawa film, most notably the pairing of Eastwood and Volonte as protagonist and antagonist. (In an attempt to pitch the movie to xenophobic American markets, many of those involved are credited under somewhat unlikely American pseudonyms – Leone’s original credit was as ‘Bob Robertson’, Volonte ‘John Wells’, Mario Brega ‘Richard Stuysevant’, and so on. I’m not sure how convincing this would have been, even at the time.) It doesn’t quite manage the beautiful simplicity of Yojimbo‘s swordsman-versus-gunfighter finale, but negotiates around this with reasonable elegance. A Fistful of Dollars seems largely to have been conceived in visual terms. Most of the dialogue doesn’t go far beyond ‘Ey, gringo’ cliches, and the plot is, as we have discussed, obviously derivative. What makes it distinctive is the big set piece moments: rapid intercutting between wide shots and huge close-ups of silent actors, their faces filling the screen as the trumpets of Ennio Morricone’s soundtrack soar above the action. This is a director’s movie, a cinematographer’s movie, perhaps above all an editor’s movie. It’s perhaps inevitable that the film feels a little superficial as a result (although the constraints of the production – it was filmed ‘as silent’ with dialogue and sound added later – may also have had an effect). Leone doesn’t seem particularly interested in making any specific point, with the result that the film just feels like a very violent melodrama, about and punctuated by acts of cruelty and murder, populated by thin (maybe ‘archetypal’ would be a better way of putting it) characters. A key moment in the plot comes when the stranger risks himself to help a family torn apart by the Rojos – in Yojimbo, Mifune’s performance effectively foreshadows this moment of hazard, but here it just seems rather out-of-character for Eastwood. Nevertheless, on its own terms this is a highly accomplished film, and very entertaining too. All the intelligence and charisma that Eastwood would show throughout his acting career is on display; the same is true of the artistry and skill of Sergio Leone and Ennio Morricone. Opinion may still be somewhat divided as to the place of A Fistful of Dollars in the history of the western – is it a bold new take on, or perversion of the genre? – but it is still a great movie. In an unprecedented development, the blog finds itself reviewing two westerns on the spin. Once upon a time (in the west), this might not have seemed so notable, for the cowboy movie was a Hollywood staple for decades, with literally thousands of films being produced. Not so many these days, of course – and the films that do get made are usually reinventions, or low-budget deconstructions, or remakes, or films that creep into western territory without genuinely being truly of the genre (is The Revenant a western? Is Cold Mountain?). 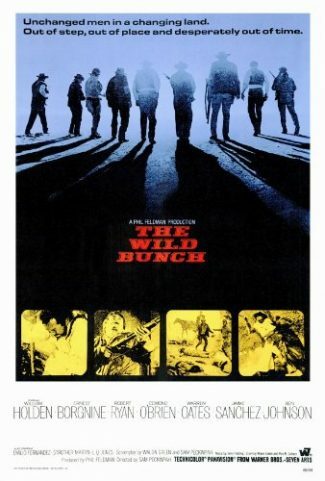 The thing is that Seven Samurai is, not to put too fine a point on it, one of the greatest movies ever made, and the 1960 Magnificent Seven is also a classic in its own right, an almost-perfect film. (The story has been pastiched many times since, too, and some of those were also pretty good – I really should look again properly at Battle Beyond The Stars one of these days.) Surely the new film is just asking for a critical drubbing up by going up against this sort of competition? The story is more or less recognisable. 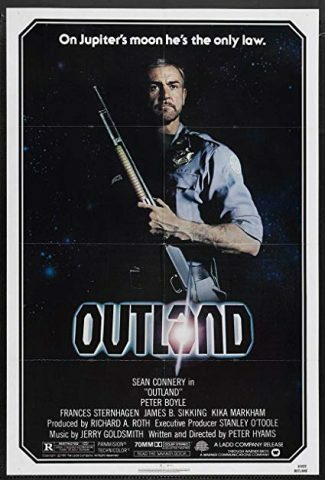 The year is 1879 and the inhabitants of the small town of Rose Creek are being driven from their homes by ruthless businessman Bogue (Peter Sarsgaard), but being a tidy-minded sort of villain he sets a convenient three-week deadline for them to pack up and get out. Feisty young widow Emma (Haley Bennett, who is a perfectly acceptable actress but whom I suspect will mainly succeed in her career due to her resemblance to Jennifer Lawrence), whose husband has been killed by Bogue’s men, refuses to be cowed and sets out to find help in resisting him. And, well, she ends up with seven gunmen, as you might expect. Denzel Washington plays Yul Brynner, Chris Pratt plays Steve McQueen, Ethan Hawke plays Robert Vaughn and Byung-Hun Lee plays James Coburn. (The film is trading off the popularity of the Sturges version, so I don’t think it’s unreasonable to make this sort of comparison – though I should mention that character fates from the 1960 version aren’t necessarily repeated in the new one.) Vincent D’Onofrio, Manuel Garcia-Rulfo, and Martin Sensmeier complete the septet, though their characters are essentially original. Well, that’s one way of putting it. As you may have noticed if you’ve seen the trailer, one of the seven is now a native American, one is a sort of Korean ninja, and various other ethnicities are in the mix too. Some have gone so far as to describe the new film as a ‘diversity western’ (as opposed to what, I wonder), and there’s a slightly laboured scene drawing attention to just what a mixed crew they’ve ended up with. Still, at least this film hasn’t drawn the tsunami of abuse directed at the all-female Ghostbusters remake, possibly because there’s at least a tiny element of historical accuracy here, and the original film and its sequels took a few steps in this direction, too, featuring black, disabled, and Russian gunfighters. It’s perhaps illuminating to consider just what has been changed in the new movie: well, first off, the whole film is set in the US, rather than the seven going off to Mexico to defend some villagers – but this is hardly a surprise, given the Mexican government objected to its citizens being presented as so weedy 56 years ago, before we even get onto present-day US-Mexican relations. On perhaps a related note, the villain is no longer a simple bandido but a super-rich industrialist intent on despoiling the landscape for his own betterment, but I think suggestions that the bad guy is a thinly veiled caricature of the current Republican presidential nominee are probably pushing a point. Perhaps most significantly, in story terms, this is no longer just a story about a bunch of guys going off to do the right thing simply because it’s the right thing: there’s some Questing For Vengeance going on here, because being virtuous for its own sake is apparently not a proper motivation any more. I’m not sure I agree with this: one of the things I like about the 1960 movie is that it’s such a simple story of good guys pitted against bad guys, without a great deal in the way of moral ambiguity. 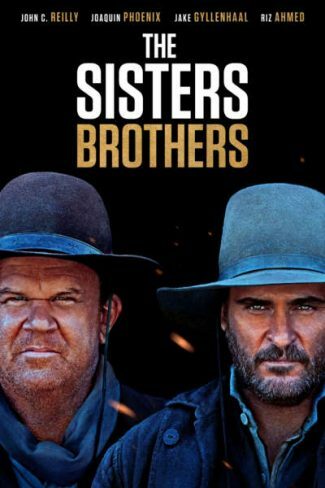 Then again, this is very much a post-Unforgiven western, with the west presented as a hard, somewhat squalid place: nearly everyone has a beard and looks like they probably smell quite bad. At least the good guys are still pretty good, although what were subtle touches in 1960 have become hammer blows here – the knife-throwing member of the seven is festooned with blades, the one whose nerve has gone is afflicted with the screaming ab-dabs, and so on. The bad guy is, regrettably, fairly terrible: he’s an absurdly underwritten cartoon villain and it’s very jarring when he eventually starts coming out with some of Eli Wallach’s dialogue from the original script. This doesn’t happen too much: only a few lines and a couple of bits of business are retained, but I can’t decide whether this is for the best or not. These moments are fun, but do you really want to be reminded of another, better movie? Where the film really struggles is in its soundtrack, which was one of the final projects worked on by James Horner before his death. Writing a completely original Magnificent Seven soundtrack would challenge the greatest composer who ever lived, for Elmer Bernstein’s music is surely one of the most famous and best-loved scores ever written – it’d be like trying to write a new Star Wars soundtrack without being able to utilise any of the elements written by John Williams. Sure enough, the music spends most of the film trying as hard as it can to surreptitiously suggest Bernstein, before the movie caves in and plays the main theme of the 1960 movie over the closing credits. Of course, by this point it just feels rather incongruous, almost like a contractual obligation. In a sense this extends to much of the film – it’s really compelled by its very nature to reference the Sturges movie, because that movie’s continuing popularity and fame are the main reasons why this one exists at all. But it never really feels comfortable doing so – it wants to be dark and gritty and psychologically complex where the 1960 film was breezy and light and entertaining (The Magnificent Seven is itself a very 1960 sort of title – no-one gives their movies such on-the-nose names these days). 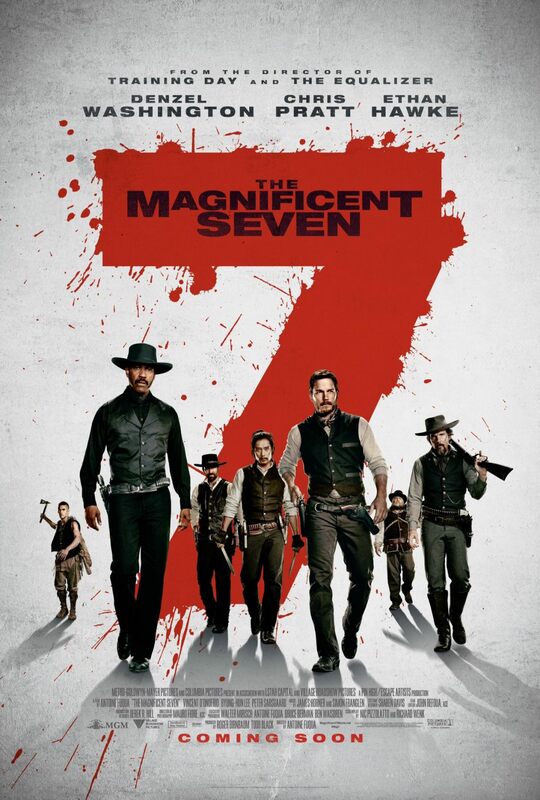 In the end the new Magnificent Seven isn’t a particularly bad film, but it isn’t going to rock anyone’s world either, I suspect. I think part of the problem is that Hollywood studios stopped making westerns on a regular basis so long ago that they’ve kind of lost the knack. It does feel oddly self-conscious about the classic genre elements, and much more comfortable with its modern-style action sequences (suffice to say much stuff blows up amidst automatic gunfire). The cast are pretty good (Ethan Hawke probably makes the biggest impression) but most of them still look more like grown men dressing up as cowboys than authentic western heroes. Perhaps the classic western is truly dead and it is time to stop interfering with the corpse; this movie passes the time fairly agreeably but if you want to watch this story, you have other, far superior options available to you. Summer has come to an end, and there are few more reliable signs of that than the disappearance of the really big studio films, in favour of a somewhat more mixed slate of releases: unashamed genre movies, smaller comedies, unnecessary remakes, and the odd serious quality film which has somehow snuck past security. 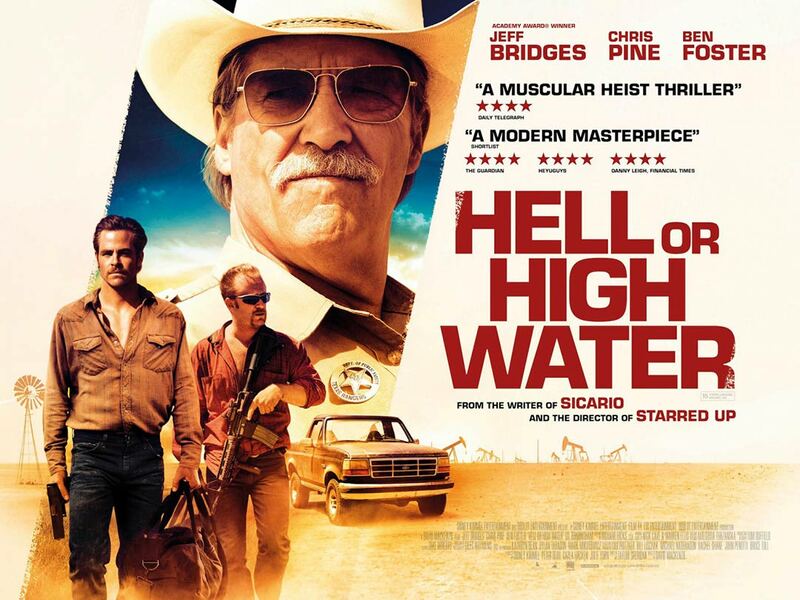 Definitely falling into the latter category is David Mackenzie’s Hell or High Water, a brooding, thoughtful thriller which oozes a very particular kind of Americana. The director’s name didn’t ring a bell and I was rather surprised to learn he’s actually Scottish – he was responsible for the slightly bonkers apocalyptic romance Perfect Sense – but I suppose it only goes to show you never can tell. The film is set in Texas in the present day. Chris Pine and Ben Foster play Toby and Tanner Howard, a pair of brothers who embark on a spree of bank robberies in order to finance a get-extremely-rich-moderately-quickly scheme. Pine is taciturn and thoughtful, worried about his estranged family – Foster is a not-too-bright headcase with a short fuse. Luckily Tanner has form in the bank robbery department and things initially go according to plan, more or less. Then the law gets on their trail, in the form of Texas Rangers Jeff Bridges and Gil Birmingham. Bridges is crusty and close to retirement, Birmingham is long-suffering. Bridges soon figures out there’s more than meets the eye to the brothers’ activities, but will he be able to get one step ahead of them and put a stop to their scheme? The most obvious thing that Hell or High Water has going for it is a very strong set of lead performances. For quite a few years now it has been generally accepted that Jeff Bridges has become one of the best and most reliable character actors working today, and his performance here does nothing to cast doubt over that. Initially it looks a bit like a collection of quirks and tics, but as the story progresses Bridges manages to make it very clear that much of this is a front his character affects, masking a very sharp and dedicated cop. 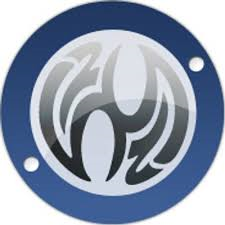 Ben Foster isn’t a particularly well-known actor, but he has done some big movies – he was one of the X-Men for about ten minutes, not to mention starring in The Mechanic and Warcraft. He comes across as a fairly serious actor, though, and this film suits his talents better. You would have thought the weak link might be Chris Pine – there were, last time I checked, billions of people in the world who are not William Shatner, but Pine is the only one for whom this is a professional impediment. He’s never made much of an impression on me in the past, but here he is very good – there’s a two-hander between him and Bridges in which he holds his own very comfortably. The film is, as you may have gathered, something of a western-inflected heist movie, with perhaps a bit of a resemblance to No Country for Old Men. Nearly everyone wears cowboy hats, some people even ride horses; many of the characters routinely carry heavy-duty firearms. Texas seems lost in the past – or not quite up to date with the present day, certainly. This seems to me to be more than just background colour, for it’s quite clear that there is more going on here than a simple crime story: the script obviously has things to say about the state of the American economic system. The Howards are targeting one particular banking corporation, simply because they feel it ruthlessly exploited their late mother, and their ultimate motivation is to provide security for Toby’s sons. Pine even gets a speech about how poverty is like an inherited disease, one that can destroy lives. The subtext is woven through the film consistently, and if I had a criticism of it, it would be that it almost becomes text – the various characters are always driving past vistas of industrial decay, prominently featuring billboards with slogans about Debt Relief and so on. This probably makes the film sound slightly heavier and more worthy than is actually the case, for there is some humour along the way (most of it courtesy of Bridges’ character and his somewhat unreconstructed attitudes), and some extremely well-mounted action, too. Mackenzie stages a very tense bank-robbery-goes-wrong sequence, which concludes in (perhaps) unintentionally comic fashion as it turns out practically the entire town is packing heat and seeking to stop the robbers’ escape. But the film doesn’t shy away from the consequences of violence, either. If there’s a sense in which the film’s deeper concerns gradually overwhelm its identity as a straightforward thriller – it opts for a ending steeped in ominous ambiguity rather than conventional closure – this doesn’t stop it from being a highly accomplished and intelligent script, brought to the screen with skill and energy. Well worth catching.